My wife and I love good beers, but sometimes (like hitting the road in a beat-up van), we want to mix things up and try something new. The Coleman cooler we normally reserve for a six-pack of beer was full after an overly-ambitious shopping run – so we set our sights on the wine aisle. The idea of a glass wine bottle rolling around or potentially falling off our shelf seemed pretty risky, so we hesitantly looked at the shameful bottom shelf for the boxed wine. 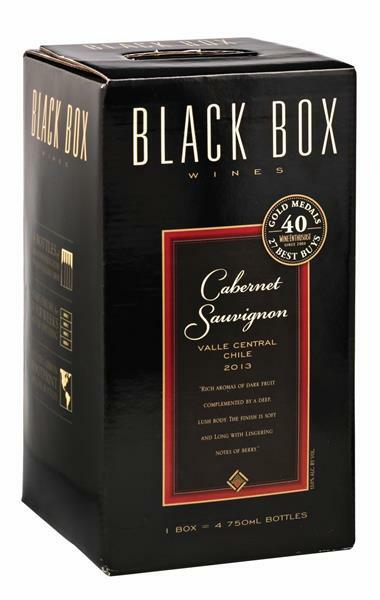 We were halfway through our flashbacks of cheap-wine-fueled college parties when a nice lady recommended we go with Black Box Wine, a brand we had never seen before. She seemed to know far more about wines than we did, so we thanked our savvy spirit guide and went on our way. Simply put, whether you’re living in your van full time, or just taking a long weekend getaway, Black Box wine is perfect for this lifestyle. It holds about 4 bottles worth of wine in one compact box (no glass! ), and will run you about $25, averaging out to $6.25 a bottle – which, considering the taste, seemed like a solid deal. We ended up buying 2 boxes of the Pinot Noir over the course of 3 weeks, pouring a glass to go with dinner or after a long hike. Our favorite part, however, was thanks to the one-way valve and vaccum-sealed bag, the wine stays fresh up to 6 weeks after you first “open” it. Perfect for us, being infrequent wine drinkers – no more pouring out wine that’s gone bad because we didn’t finish it in time!